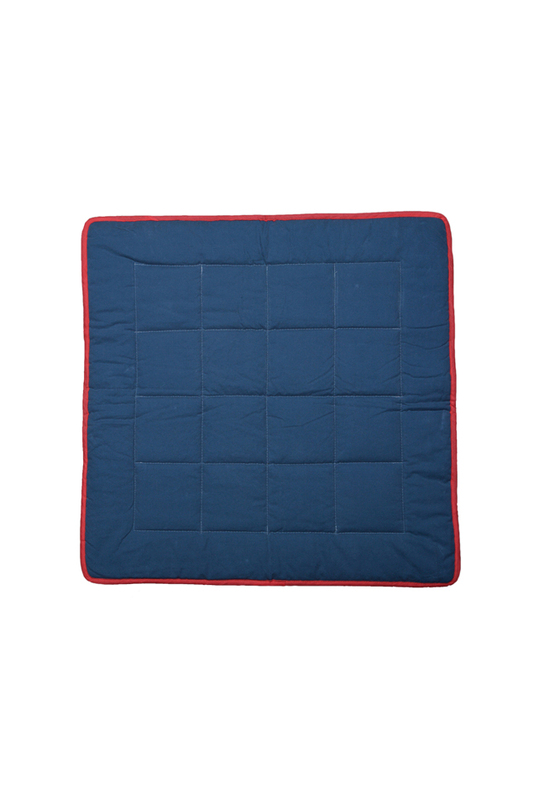 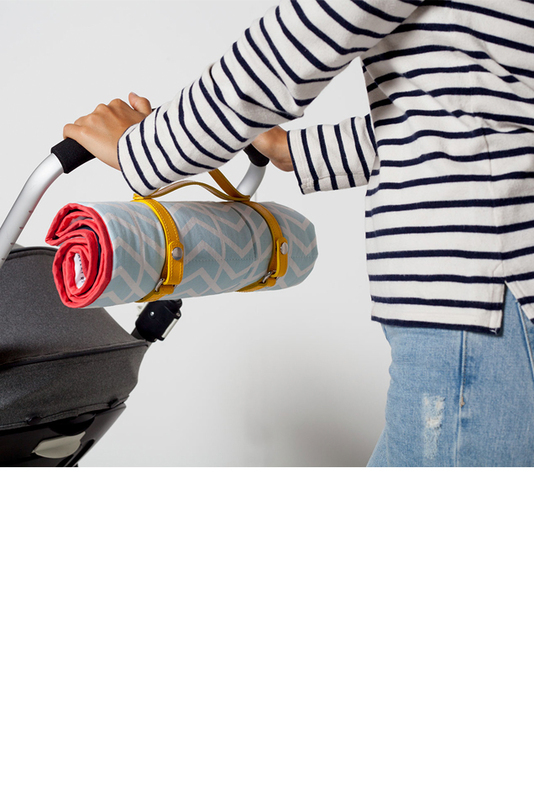 Stylish, portable and super-comfy for your little one, the go everywhere mat is an indispensable item for the sociable mum and baby team on the go. 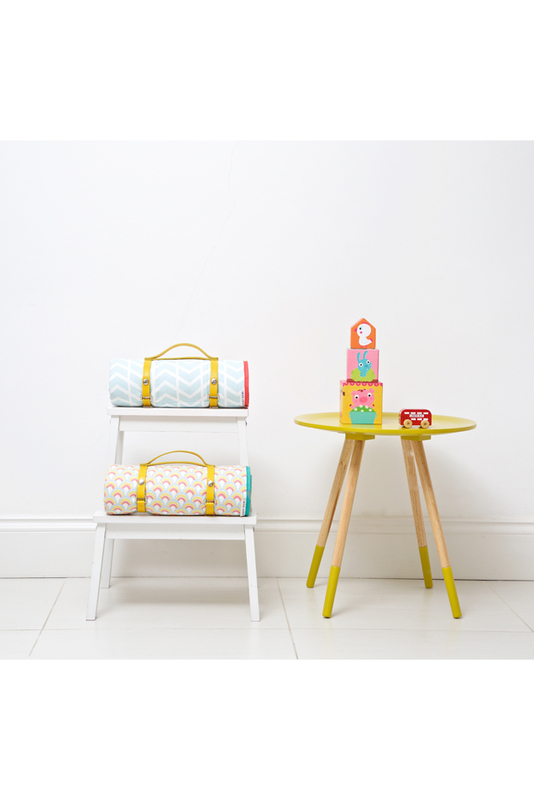 Hook it on your buggy, pop it in your changing bag or throw it in the car and head off on your adventures. 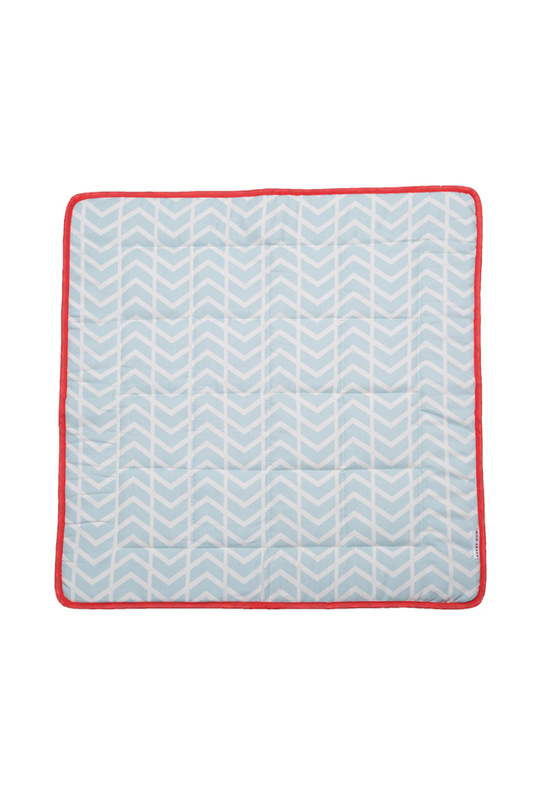 A twist on a classic chevron or herringbone, this adventurous print in a subtle colour really stands out from the crowd. 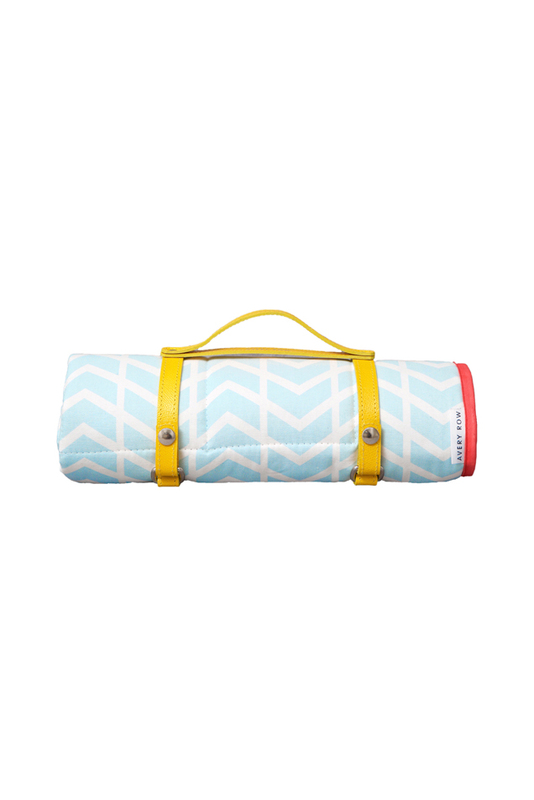 Complete with a yellow textured leather carry strap for an extra touch of luxe.